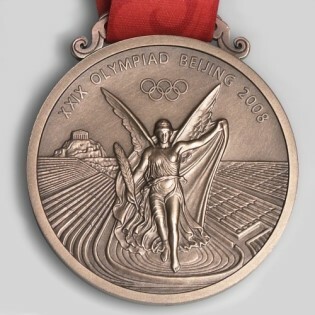 The medal for the Beijing Olympic Games, 70 millimetres in diameter and six millimetres in thickness, is designed with inspiration from bi , an ancient Chinese jade piece usually inscribed with a dragon pattern. emblem engraved in the metal centrepiece. 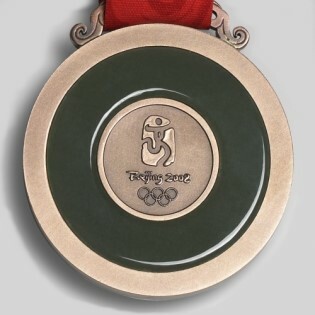 of the Games acclamation and great honour as the recognition of their achievements. Thank you to the Media & Communications Beijing Organizing Committee for the Games of the XXIX Olympiad for the support.